So far, Bohol has been one of those places which I’ve only been to with either family, or for work. And I should mention that my family members are, for the most part, not travelling people. Instead, they are lounging-around people, so not a whole lot of things get done. My first trip was in 2007, when I was an intern at the Philippine Basketball Association (PBA), and they were doing provincial tours. I was lucky, because we were treated so well. We were billeted at the Amarela Beach Resort, which, I’m surprised I don’t hear much about from Bohol tourists. It seems that not a lot of people know about it, which would make it severely underrated, in my opinion. My second trip was with friends. Luckily, one of them is a native Bol-anon, and he and his family were such gracious guests! There is no better experience of local hospitality than as shown by someone’s family. 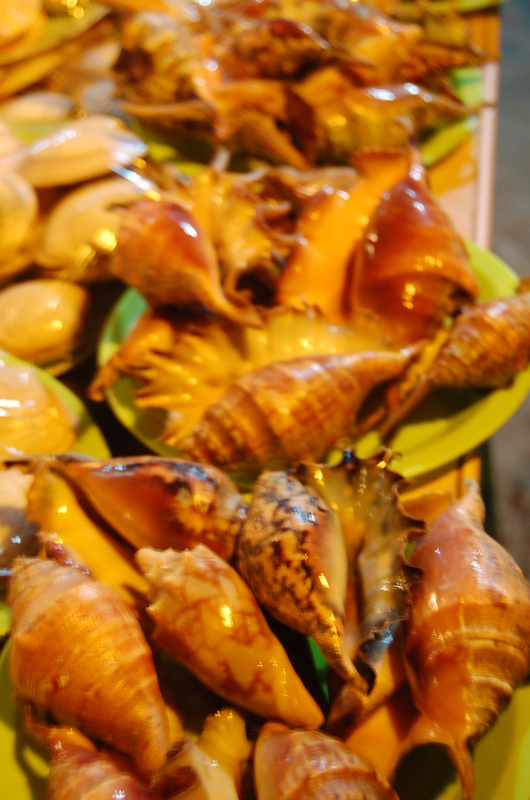 Don’t forget to try some saang-saang (spider shells)! The following trip was for another job: the Galeón Andalucía sailed to Bohol from Cebu. Of course, the team went along just to make sure that they were at least spoken for while they were touring the two islands. But sure, we had time to play. We shuffled between Tagbilaran City and Loon several times a day, which is about 25 kilometers (or an hour) apart, so there was much to explore in between. There was the Dauis Church complex, and some extremely rustic seaside restaurant (read: on wooden stilts), where we were made to experience saang-saang, or spider shell, for the first time. The last time was this time last year, which really was an escape from the city, and a much-needed weekend for doing absolutely nothing. And that’s exactly what I did. So I won’t write much about that trip, except a little something about the resort, maybe. Local airlines Cebu Pacific, Philippine Airlines, and Air Asia all have several flights to Tagbilaran on a daily basis. From the airport, vans are the most common means of transportation. Another option, is habal-habal (hitching on the back of a motorcycle). Located on Panglao Island, along the same strip as Amorita and Bohol Beach Club. It is quaint, intimate, and extremely charming. Their interiors are cheerful but understated, fully embracing the ocean and emphasizing its natural beauty with sea-themed detail. The grounds slope down gently, towards its pool, and private beachfront. I enjoyed their food, and remember that this is where I first fell in love with papaya shakes. I’ve tried to find a papaya shake somewhere else that can compare, and so far, I haven’t found it yet. It is also interesting to note that the resort fully supports a system of environmental sustainability! They practice composting, recycle water, utilize efficient lighting and solar power, and rehabilitate old wood into furniture. If I remember correctly, they also have a small art gallery sitting at one of their top floors. 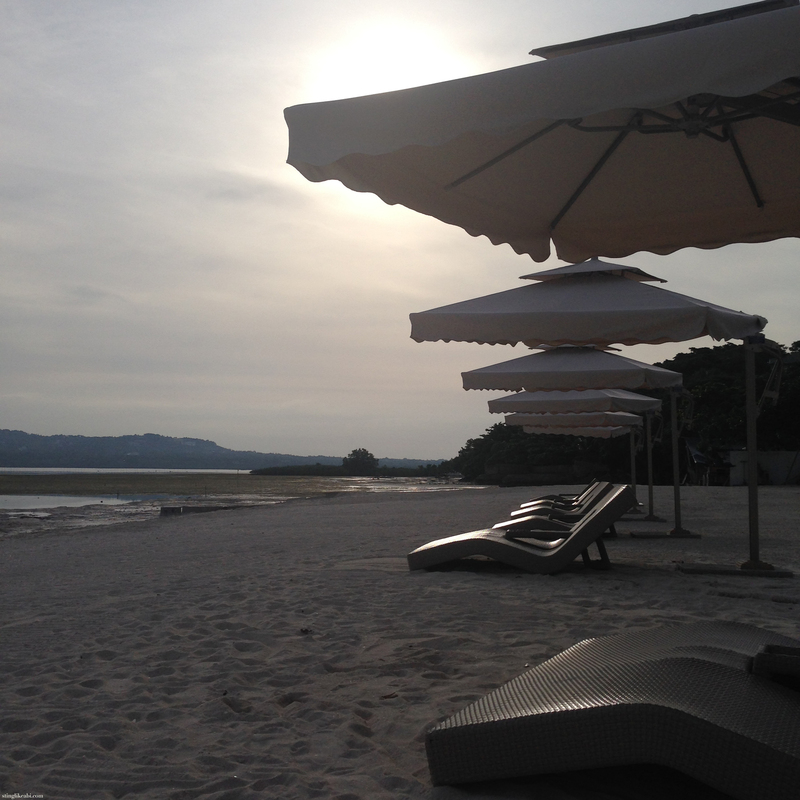 I had the entire Astoria Bohol beach resort to myself! The Astoria was extremely new when I visited, and it was at the lowest of the low season, so you can imagine how many people weren’t there. I asked to be left behind to hang out, as everyone else went to do some of the touristy things that I had already done, and for a solid afternoon, I was alone on the beach. Literally, I had the whole place all to myself. Located in Baclayon, it is just a few minutes away from the airport in Tagbilaran. They have few, but extremely spacious, gorgeous rooms, with minimalist, Filipino, vintage-inspired decor. It seems to be quite common for Bohol resorts to have a pool within the premises, and The Astoria is no exception. Their beach is also wide, and secluded, but mediocre. Although, so far, Astoria seems to be the only resort around the area. The Bee Farm is a proponent of organic food farming. Naturally, they use organic products in the meals that they serve. And I’ve been to some fancy restaurants in Bohol, but so far, the Bee Farm has been the best tactile experience so far. 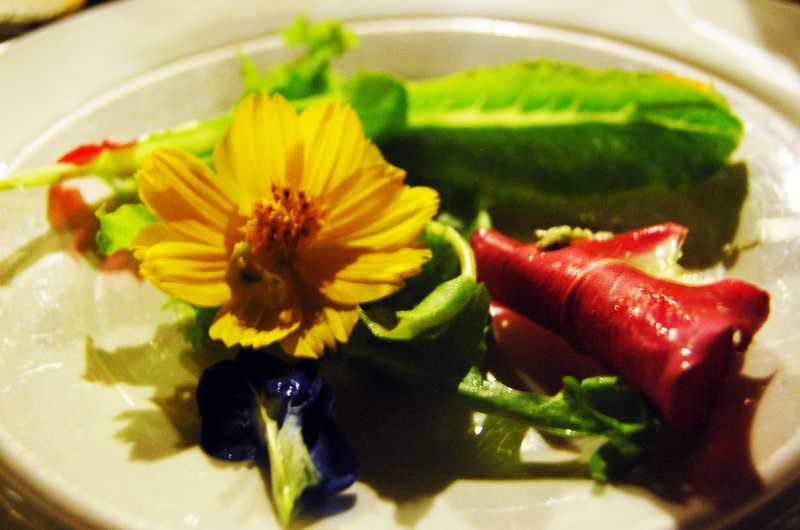 I’m talking about realness of flavor, the grounded-ness of the dish, the freshness of its ingredients, and the value that they put in local, home-grown products. homemade ice cream – I had ginger. It was lovely! Refreshing, with a bit of a kick. And good news! They aren’t located in just Panglao anymore; they’ve branched out to other parts of Bohol. Minus the whole farm, there are Buzzz Cafes at Alona Beach, and at Tagbilaran City. Not the best food, but it’s a pleasant lunchtime experience, coasting along the river. Of course, there is either a pseudo-Mariachi band, or a solo guitar crooner to serenade you while you eat. You’re are in rural Philippines, this is inevitable. If you are lucky, you’ll stop to visit an Aeta camp, who are people indigenous to the region. This, and the river sights, were the best parts about the cruise, at least for me. Like the temples and pagodas of Bagan, Myanmar, the Chocolate Hills of Bohol are thousands (1,500 hills; and 2000 temples, respectively) of mounds, of land and stone, reaching up to the heavens. I don’t remember making any special arrangements to see the tarsiers, but we saw them on the way back to Panglao from the Chocolate Hills, on a roadside location. I was thankful to have been able to spend some time at Loon. I was mostly at the then-new pier, but as soon as the galleon left, this was the most interesting, most accessible attraction there was at the time. 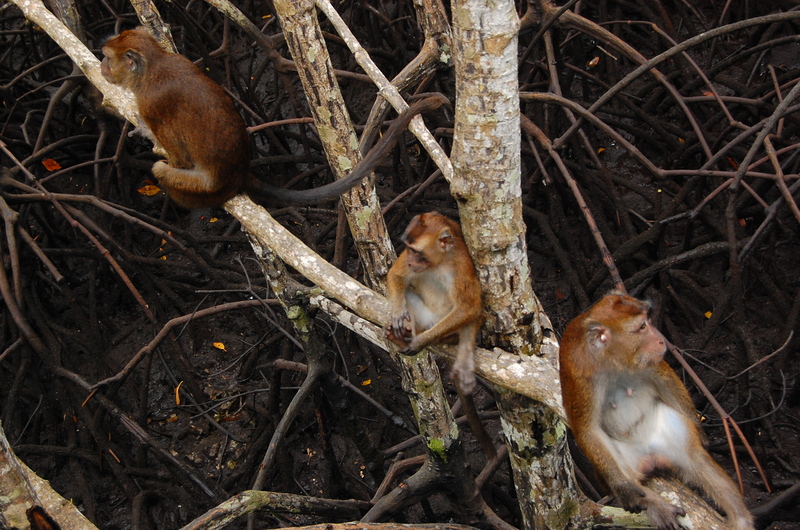 The mangroves are well-preserve, and the macaques (indigenous monkeys) that inhabit the place, are protected. And ironically, I suppose this is why the area is open to tourists: their small donations help sustain this. This entry was posted in Food, Photography, The Philippines, Travel, Words and tagged 2007, 2008, 2010, 2014, beaches, Bohol, Chocolate Hills, islands, Tagbilaran, tarsier, The Philippines, travel. Bookmark the permalink.